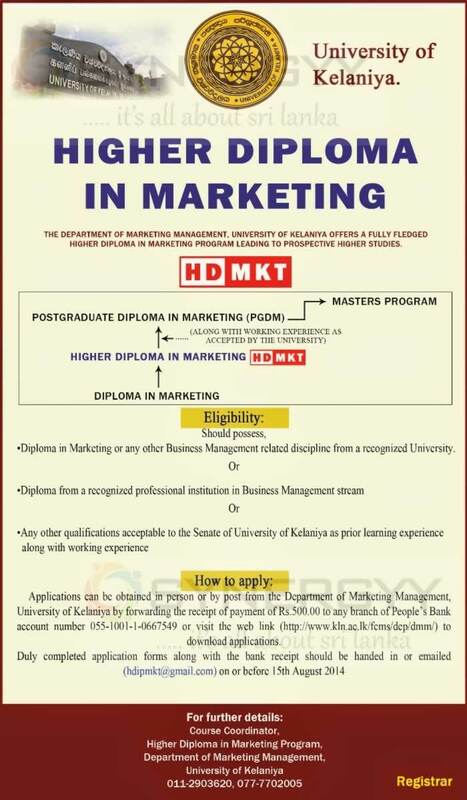 The Department of Marketing Management, University of Kelaniya invites applications for the Higher Diploma in Marketing Program leading to prospective Higher Studies. 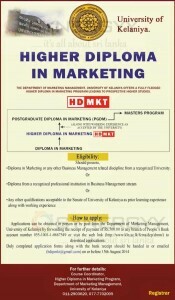 The Higher Diploma in Marketing leads to the Postgraduate Diploma in Marketing of University of Kelaniya. This PGDM would lead to a Masters Programme of University of Kelaniya.